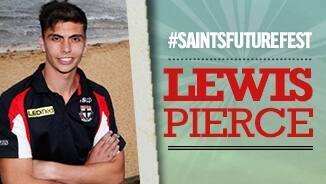 Pierce was selected by St Kilda with pick No. 75 in the 2012 National Draft, before being delisted and re-drafted as a rookie at the end of the 2017 Season. 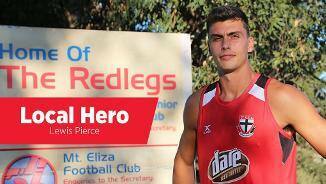 While the ruckman played second fiddle to both Tom Hickey and Billy Longer, Pierce was given his opportunity to play his first senior game since 2016 after the rucking duo were sidelined with injury. 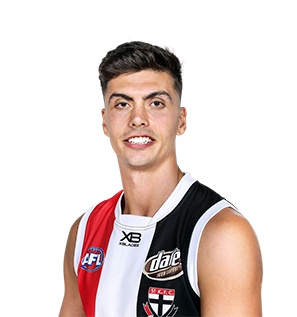 The 24-year-old impressed in his three showings, with his efforts over Essendon’s Tom Bellchambers – in which he registered 27 hit-outs, 18 disposals and five marks – the pick of the bunch. The ruckman also displayed strong form in the VFL, taking out Frankston's Best and Fairest award. 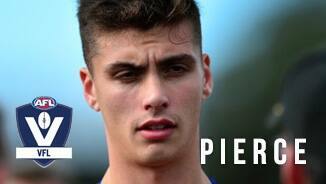 With the departure of Tom Hickey opening up a position for another ruckman, Pierce will be determined to seize the opportunity and make the position his own.